This year’s crop of seed catalogues has just arrived in our mailboxes packed with inspiration and ideas, and getting gardeners (and even non-gardeners like myself) excited about the upcoming growing season. It’s February, but it’s time to start thinking about, and planning the garden for the year. 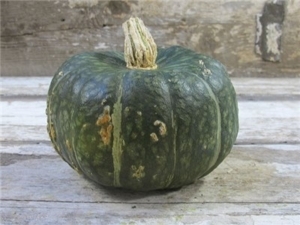 And when you are planning, don’t forget to order your seeds for next winter’s crops. We are lucky to live in a place where winter gardens are entirely possible, and some suppliers will run out of seed by mid summer. The next question is where to buy your seed. According to Steve Solomon, founder of Territorial Seeds, the majority of seed companies that sell through seed racks in supermarkets and big box stores, buy bulk seeds and repackage them without germination tests or any consideration of what is adapted for growing in a particular region. 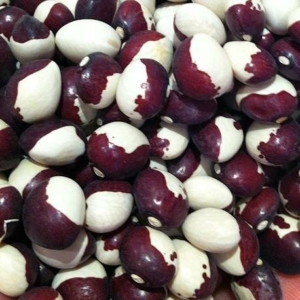 However there are a few seed companies to be found on the racks that provide reliable, acclimatized seed, such as West Coast Seed and Saltspring Seeds. Probably the best place to get seeds is from mail order seed catalogues or seed saver organizations. Saltspring is having their Seedy Saturday on Feb 9th from 10am till 3pm, and that’s a great place to pick up or trade for local seed. If you have reliable seed you saved you can bring it to trade with other growers. You can attend lectures and workshops on composting, permaculture and the importance of seeds as well. Which brings us to saving seed. If you think you might want to try saving your own seed, then you need to plan ahead and buy open pollinated seed. These are plants that produce seed that will come true to type – as opposed to seeds from hybrid plants, which cannot be saved and must be bought new each year. The more people that save seed, the more diversity we protect for the future, and the more food security we create for ourselves. Learning to save seeds often takes a year or two, for each new variety. Some seed saving is far more complex than others and saving seed properly can make the difference between reliable garden vegetables year after year and changeable plants that may not look or taste right. The easiest seeds to start with are, peas, beans, lettuce and tomatoes (just not potato-leaf tomatoes.) There are a lot of good books out there on how to save seed and they are well worth the investment if you want to try your hand at producing and keeping your own seed year to year. When you have your seeds, store them in a cool, dark and dry place. If you are planning on saving them to the next season, you can vacuum pack them to add an extra years life. Freezing (well wrapped) will also extend the life of your seeds. Happy new year, everyone! My name is Emma Davis, and as one of the Food Program’s new coordinators, I’ll be organizing the Garlic Co-op from now on. I’ll do my best to follow in Janice’s very big shoes. The Garlic Co-op is a group of garlic enthusiasts who collectively grow a few varieties of organic premium garlic, with scapes, in a large, shared, sunny plot at the end of Morgan Road, at the south end of the island. We meet about once a month for work parties. Together we learn about this easy-to-grow, hardy crop, share the load of bed-preparation, seeding, weeding, mulching and harvesting, and enjoy some delicious garlic. We also explore various soil-building and composting techniques. Annual membership is $30, which covers the cost of our seed and soil amendments. 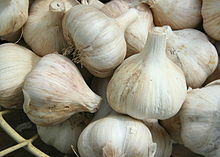 Each member gets garlic to take home; your participation level determines the size of your share of the harvest. A portion of the crop goes towards Food Program community meals as well as the food bank. To get involved, send an email to galianofoodprograms@gmail.com, call 539.3389, or just show up at the next work party. No previous experience required. We’ll be adding organic matter to the beds, so please bring any material you can contribute—seaweed, compost, nettle stalks, leaves, compost tea, ash, lime, manures, grass clippings, cardboard, newspaper, etc. are all welcome! Please bring gloves and forks if possible. Between the Earthquake that hit Haida Gwaii last month and the devastation caused by Hurricane Sandy on the East Coast, I found myself double-checking my pantry, to ensure we were well stocked with supplies. Having ѕоmе еmеrgеnсу supplies packed away саn make а huge dіffеrеnсе іn kееріng уоur fаmіlу fеd аnd аѕ соmfоrtаblе аѕ роѕѕіblе. Hopefully we are more prepared than the city dwellers on the east coast. Sudden, and possibly extended power outages are something everyone on the island has to cope with at some point. Winter storms, wind or snow can keep people home for days at a time, even living at the South end, we were once out of power for 5 days. At the North End of the island, that seems to happen each winter. But if you are prepared, it’s not such an emergency. What you need is food, water and heat. If you know a storm is coming, there are some simple things to do to get ready. Fill the bathtub with water, Wash the dishes (beginning a power outage with a clean house makes it easier to cope). Bake some muffins or some other easy snacks before the storm hits. Start a soup or stew you can keep warm on your woodstove after the power goes out. 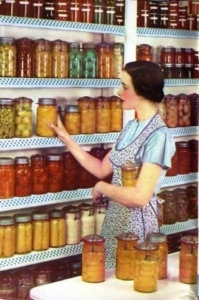 It’s a good idea to keep a supply of simple to prepare foods in your pantry. Things such as: pasta, baked beans, canned or dried soup, granola bars. A full chest freezer is good for up to 3 days if it’s full. If yours is not full, then you can add containers of water (long before the power goes out). This makes the freezer more efficient by keeping it full – remove bottles when you need room for food of course! The jugs also serve to keep the freezer frozen when the power does go out, can be used to turn your refrigerator into a giant icebox if the power failure is prolonged and provide you with clean drinking water. Covering the freezer with comforters or old blankets also helps to maintain the temperature. Boil water and fill a large thermos so you don’t have to heat the water all over again every time you want a cup of tea! You can do this before the storm or during an outage. In the morning, remove milk and any other supplies you might need for the day and put them in a cooler so you don’t have to keep opening the fridge when you need something like milk for tea. If you are prepared with at least a week’s worth of food, and ideally enough for a much longer period then you have the ability to care for yourself and your family independently during an unforeseen disaster. If you are prepared, it’s not such an emergency. Once the necessities are in place, it gives you the time and peace of mind to build snow forts or curl up in front of the wood stove with a good book. Cost is $10-$15 per person. Please bring containers to take food home. RSVP if you want to come.